QUETTA: The Balochistan Chief Minister’s office issued a notification on Thursday announcing portfolios for ten provincial ministers and one advisor to the CM. Mitha Khan Kakar was made the advisor for livestock and dairy development. The ministers and advisor were sworn into the Balochistan cabinet at the Governor House in Quetta on Monday. 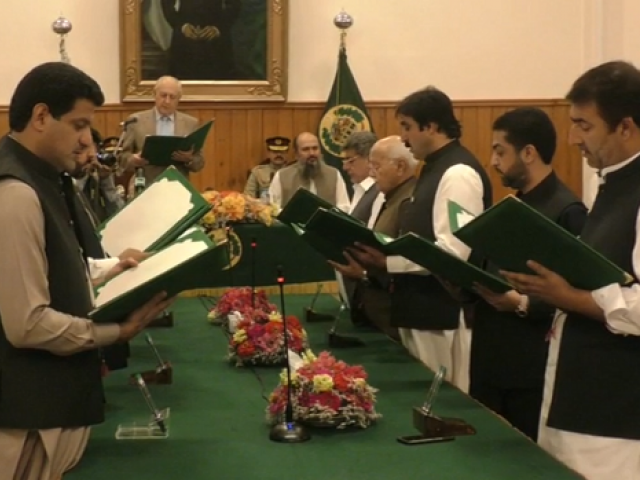 Balochistan Governor Mohammad Khan Achakzai administered the oath to the new cabinet members announced by Chief Minister Jam Kamal Khan. Eight of the new members belong to the Balochistan Awami Party (BAP), while the Awami National Party (ANP) and the Pakistan Tehreek-e-Insaf (PTI) have one each.